It’s the most wonderful time of the year, when we look back with pride and gratitude at what’s been accomplished, and look forward with enthusiasm and hope to the coming year. All around the Loop things are happening with more to come in 2019. The Loop’s promise is being fulfilled, and that is a blessing to all of us who are lucky enough to live in the Loop corridor and all those who will visit to ride the trails in our region. It's been a busy year for the Loop and the Alliance. Here are a few highlights. Trail Construction - Good Tidings of Great Joy! With some major trail openings in 2018 the Loop is now over 43% complete! The section from Titusville to Volusia was completed early in the year, and in August another long section opened connecting from the Brevard/Volusia county line to Edgewater and Gobblers Lodge. This is now the longest contiguous completed section of the Loop totaling over 40 miles! Cyclists can now easily ride between Titusville and Edgewater for multi-day adventures without ever leaving the safety and scenery of the paved trail! Many groups and bike clubs are already out enjoying this wonderful section of the Loop and more are discovering it every day. 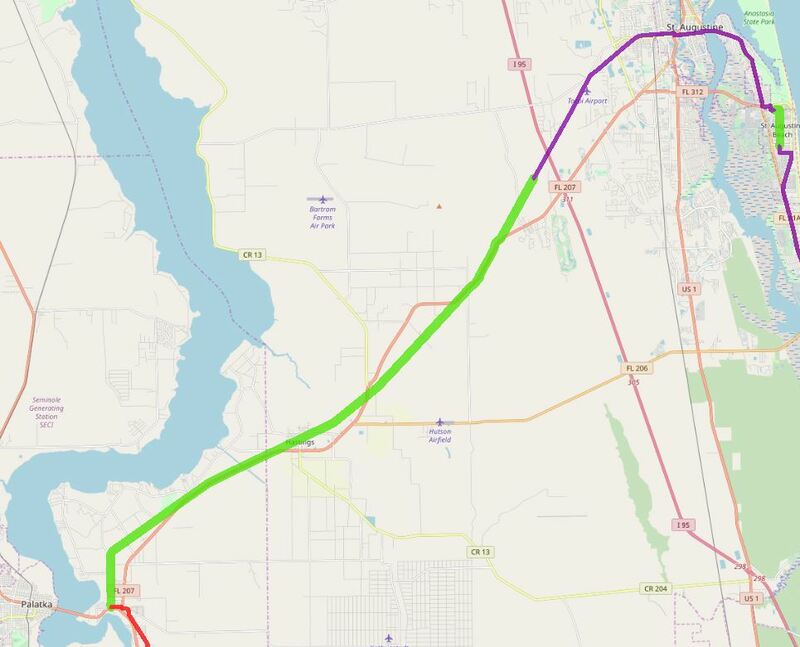 Only a three-mile gap from Gobblers Lodge to Guise Roadd remains to be completed to connect Titusville to Deltona, DeBary and the rest of the Coast-to-Coast Trail, and this is scheduled for completion in early 2020. The DeBary to Blue Spring Connector connects from Donald E. Smith Blvd to the former trail end south of Blue Spring State Park was declared open on December 20, although a deluge and tornado watch forced the Ribbon Cutting Ceremony to be rescheduled. The connector is less than 1.5 miles but marks a major milestone that makes the journey from DeBary to Blue Springs significantly shorter and safer. 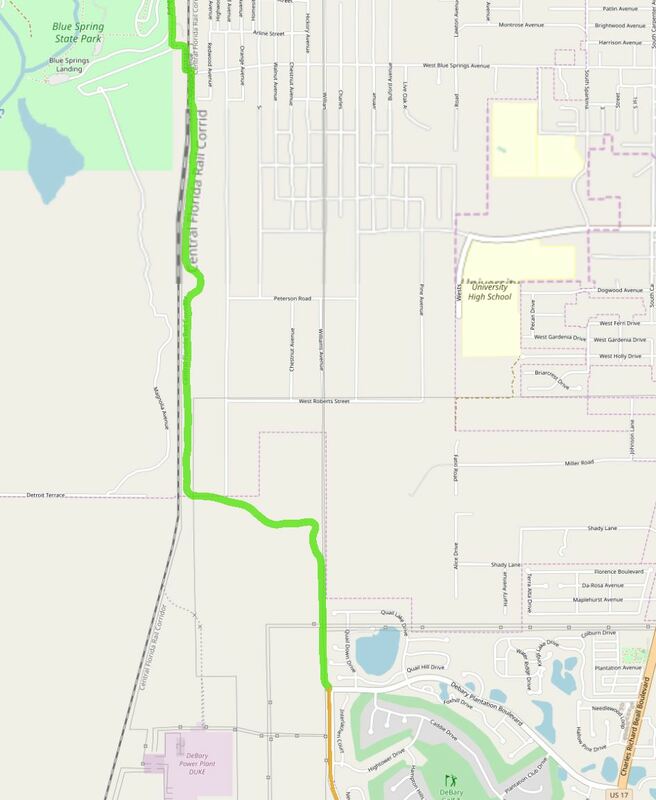 Cyclists can now ride from Guise Road East of Osteen all the way to Beresford Park with only one short section on local roads between Benson Junction and the start of the Blue Spring Connector. The connector also opens a safe route from DeBary Station to Blue Spring and Beresford Park, so it’s a short but significant section! The DeBary to Blue Spring Connector Ride with manatee viewing at Blue Spring Park is scheduled for December 23 at 1:00 meeting at the Blue Spring Avenue Trail Head. The Hastings Section is a 3-mile section that spans Deep Creek and connects from the Putnam/St Johns County Line to Spuds, completing a 20 mile section along the Palatka to St Augustine Trail segment of the Loop. This new section makes the ride from Palatka to Vermont Heights much safer, and positions the town of Hastings for revitalization from cycle-tourism as well as agritourism. Also in 2018 the Alliance partnered with the East Central Florida Regional Planning Council to develop the strategic plan and maps for the Loop and to document the emerging Tri-County Agritourism Corridor in Putnam, St Johns and Flagler counties. 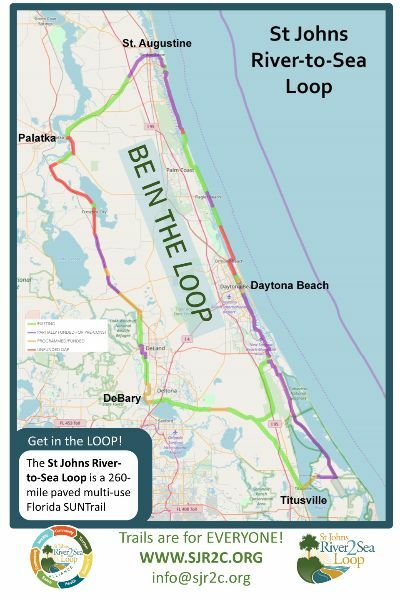 The maps are available on our website at https://sjr2c.org/loop-maps and represent the most current and complete maps of the Loop available. The Alliance worked with all 5 counties to develop and get agreement on a trail logo that is now the official symbol for the Loop. We applied for and won a small grant from REI Outdoor Outfitters in Winter Park to establish and promote the Nature and History Corridor in West Volusia and to place a sign in Deltona and to promote the SunRail Connection at DeBary Station. Get Out on the Loop. With the new sections of the Loop now open, many ride groups and bike clubs are starting to host rides on the Loop. 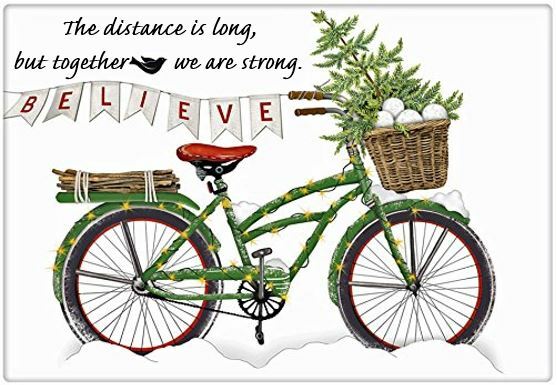 The Alliance has hosted several small rides in 2018 and is planning many more for 2019. 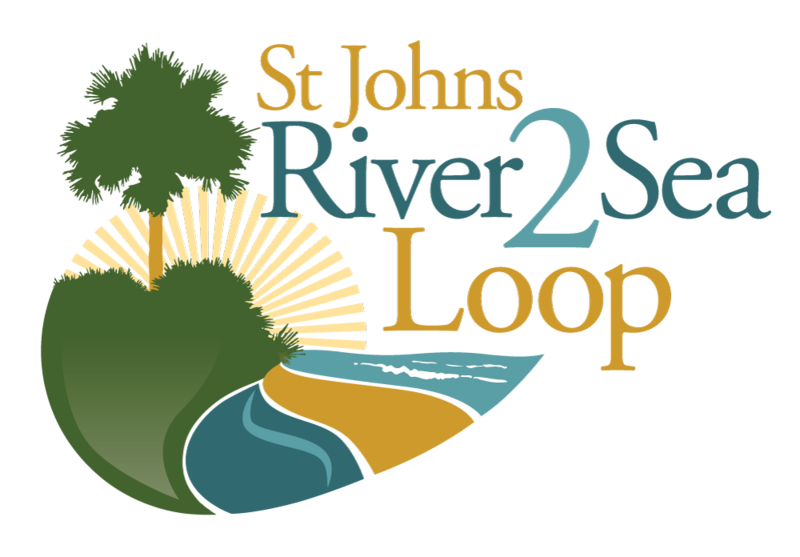 For current information check the SJR2C.ORG website, our facebook.com/sjr2c or Meetup St Johns River-to-Sea Loop. We are partnering with other ride groups so watch for current information on our website. Exciting times for trails! And 2019 promises to be even more exciting and productive. We are working closely with the Office of Greenways and Trails to help and encourage towns around the Loop to be designated as Florida Trail Towns. Trail Towns are vibrant destinations where people harness the power of connected trails to enjoy the services and unique heritage of the community, benefiting the town economically and socially. Trail Towns are not stand-alone communities; they are linked by the long-distance trail corridor. The Florida Greenways and Trails Council voted unanimously on June 27, 2018 to name Titusville as a Trail Town. Titusville is the 2nd city in the state of Florida to receive this designation. Deltona and Palatka have both applied for Trail Town status and the Alliance will be participating in the presentation to the Florida Greenways and Trails Council on January 23. DeBary has applied and we encourage others to apply for designation at the June council meeting. To all those who helped accomplish this work in 2018, a hearty and heart-felt thank you! You are truly appreciated. I was tempted to start naming names, but the list grew long and there was no logical place to stop, so let me just say "thank you" to all and we will do a better job of recognizing contributions on our website and social media. Trails are for everyone. Long distance "destination trails" benefit communities, residents and businesses all along their corridor. They improve and equalize mobility, allowing people of all ages to move about safely and independently, thus increasing self-reliance. They build communities and increase the most desirable kind of tourism. They improve the economy and protect the environment. And of course they imrpove health and fitness for us all. The Alliance is constantly working to advance, advocate, support, promote and protect the Loop and connecting trails. In 2019 we will be hosting more rides and mini-events so please check our website Event tab frequently. We have a Stakeholder Workshop planned for March 1 at DeBary Hall... this is a working meeting - if you want to volunteer or be involved in planning and advancing the Loop please contact us using the forms on the website. Loop Summit and Trail Celebration is April 5 and 6 in Palatka and Hastings. The Loop is 43% complete… that means there are about 150 miles left to be constructed. What can we all do to help connect the dots? 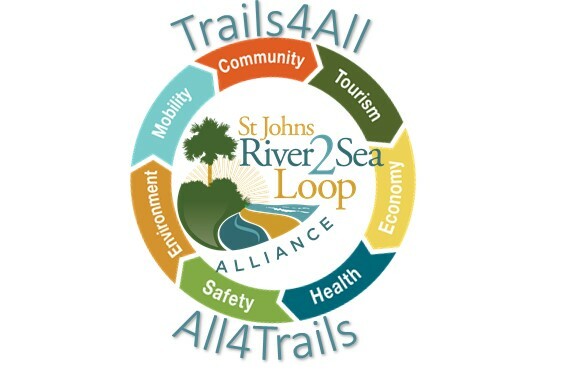 The St Johns River-to-Sea Loop Alliance was established in 2016 with the mission to advance, advocate, support, promote and protect the River-to-Sea Loop and connecting trails. Many people ask what they can do to help. Here are some tips. Be informed – know what benefits the Loop is bringing to our region and be prepared to advocate and if needed defend it. Be involved – volunteer to help. We can use help on many fronts. Be an Advisor who actively works with us to help achieve our mission. As Ryan Gravel, originator of the Atlanta Beltline says “All emerging trails face the challenge of siloed expertise – it takes all kinds of skills and specialties to advance a trail.” To fulfill the promise of the Loop we need your help and your expertise. Be a Correspondent who helps us keep the information we provide current and vibrant and supplies us with photos and videos that highlight the many attractions around the Loop and the people out enjoying them. Be a worker – if you want to help advance and promote the Loop please join us at the Stakeholders Workshop on March 1 – contact info@SJR2C.org for more information. If you want to help install new signs and steward the Loop please volunteer. Be a Ride Organizer – if you want to organize or lead rides around the Loop please contact us. 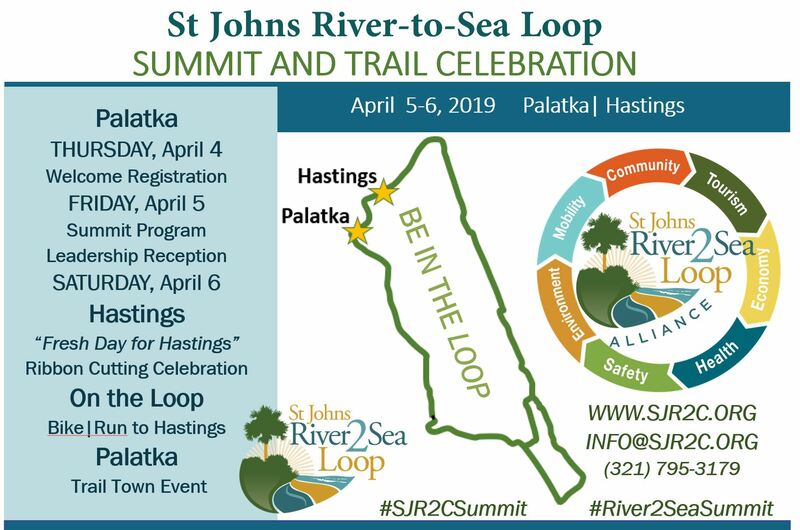 Be a Loop Summit Sponsor – We are seeking corporate sponsors to help ensure the success of the St Johns River-to-Sea Loop Summit and Trail Celebration in Palatka and Hastings on April 5 and 6. 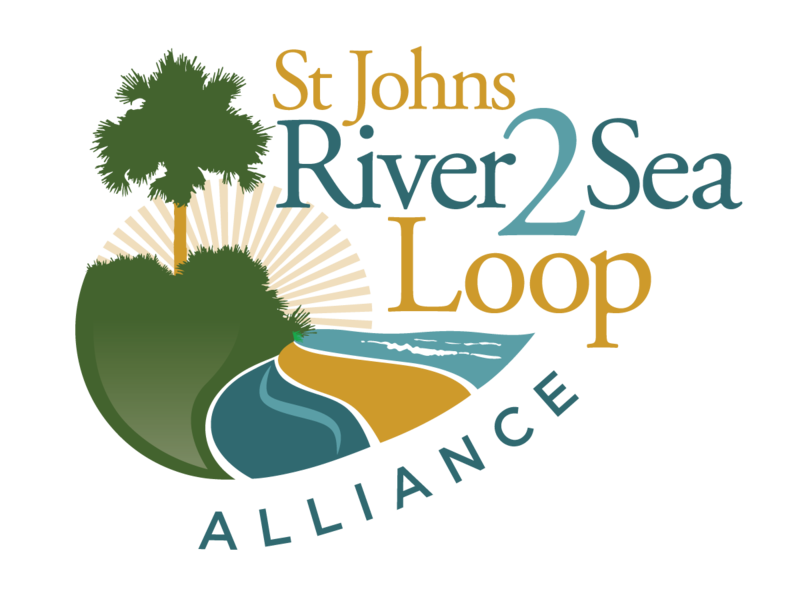 There are several ways to donate to the St Johns River-to-Sea Loop Alliance to support our mission. Visit our website sjr2c.org and click “Donate Now” to donate by check or through paypal. Another easy and cost-effective way is to click the donate button at the top right on Facebook at facebook.com/sjr2c. Facebook does not charge a fee for nonprofit donations. 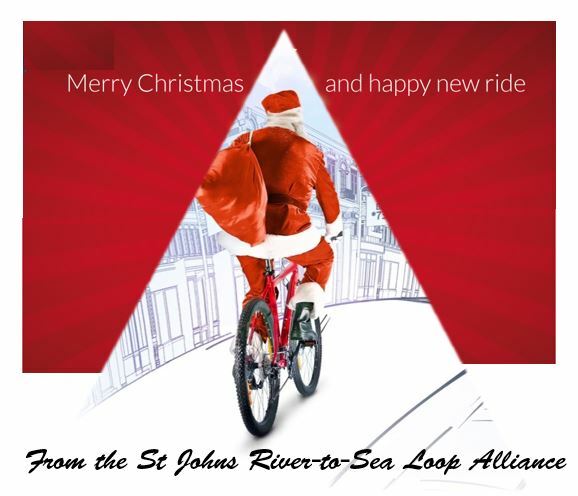 The St Johns River-to-Sea Loop Alliance is a 501(c)3 charitable organization. We wish you all the happiest of holidays, and great rides in the new year.